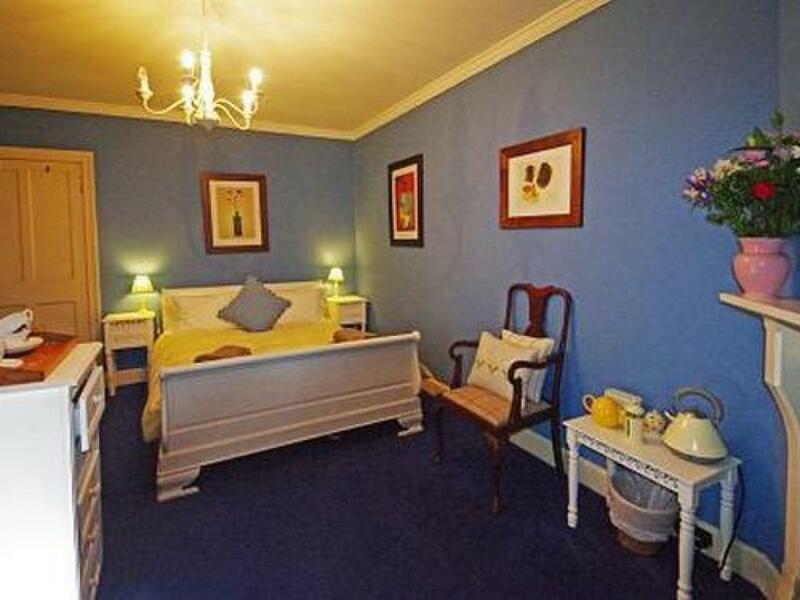 Double en-suite room with TV, DVD, sofa, tea and freshly ground coffee making facilities. Double four poster bed en-suite room with TV, DVD, sofa, tea and freshly ground coffee making facilities. 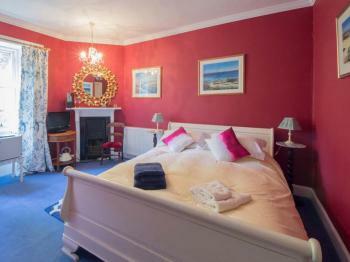 Double super king bed with jaccuzzi bath en-suite room with TV, DVD, sofa, tea and freshly ground coffee making facilities. Torrnalleich is a self contained suite with sitting room and open fire, kitchen, shower/wc and bedroom with four poster bed. 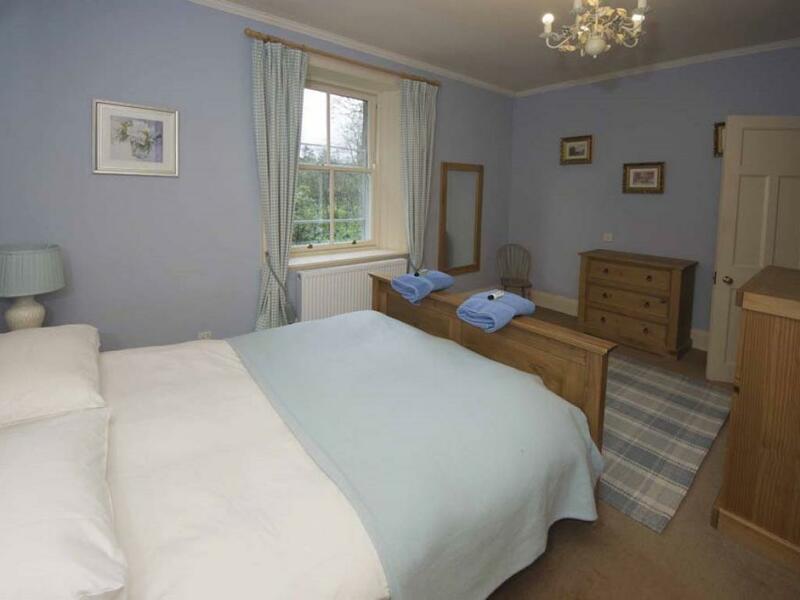 It is extremely cosy and private adjoining the main house. 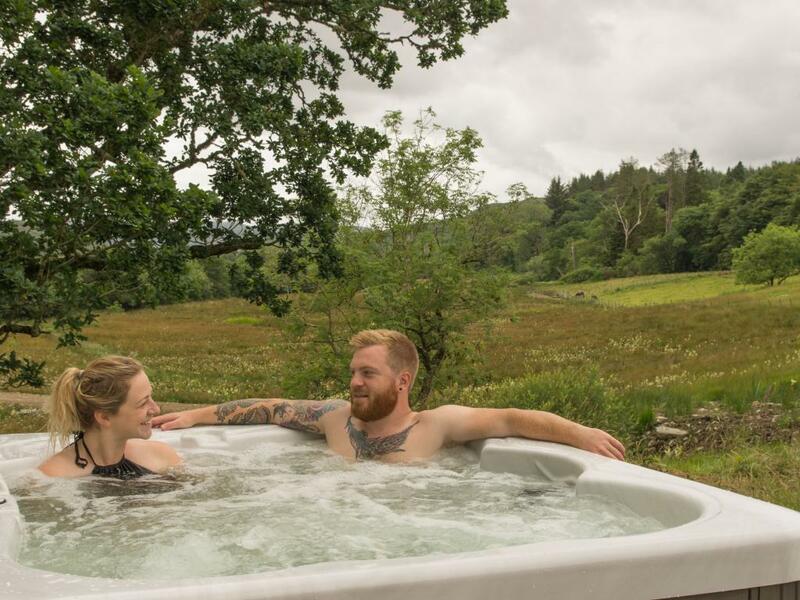 Guests have access to the BBQ cabin and the Hot tub cabin as well as 500 acres of private forest, home to three types of deer, pine martens, red squirrels, otters and even a pair of Golden Eagles. 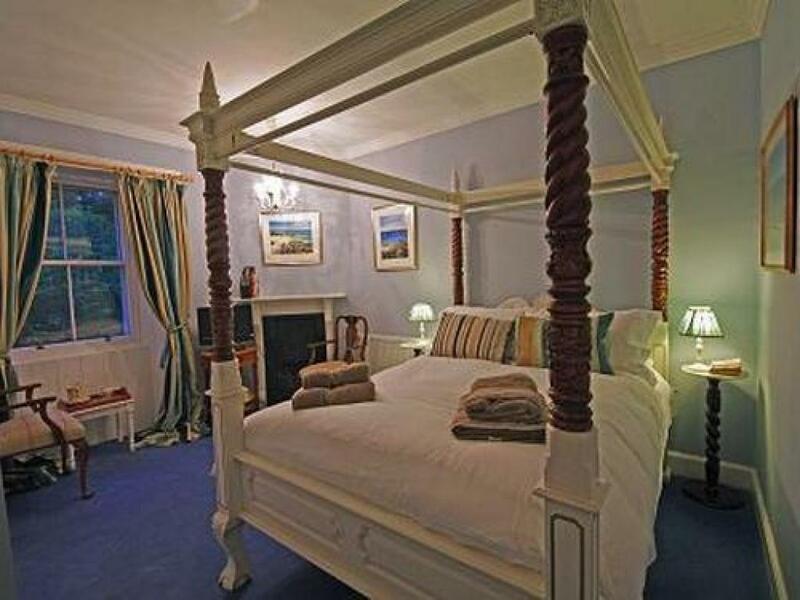 Heron Cottage is a b&b with a difference. It is furnished to the highest standard with a modern tower shower ensuite in the master bedroom which also has a four poster bed. 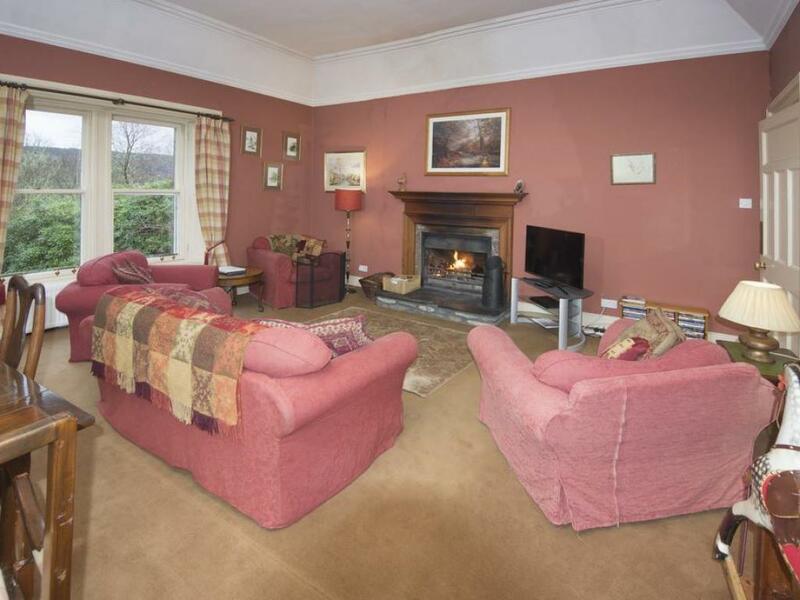 The cottage has a huge sitting room with open fire and a well equipped kitchen. 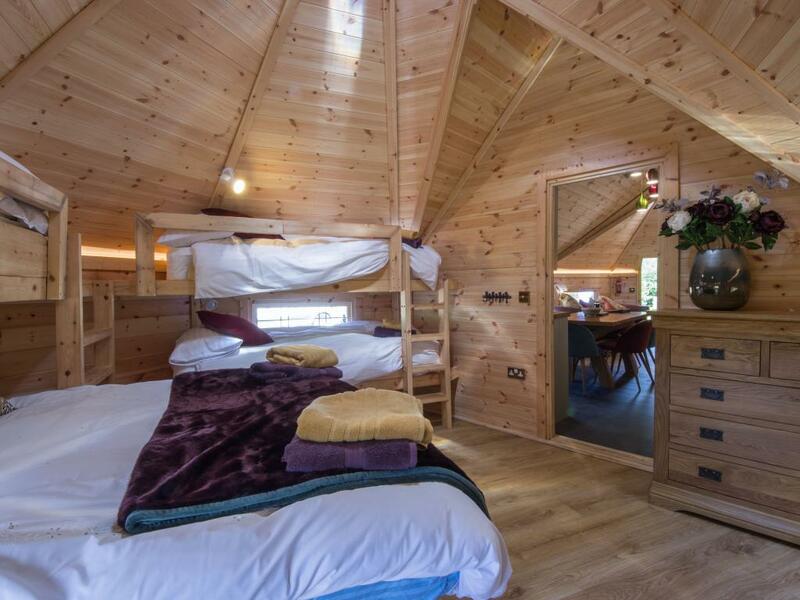 It also has a small room next to a separate wc with two bunk beds. 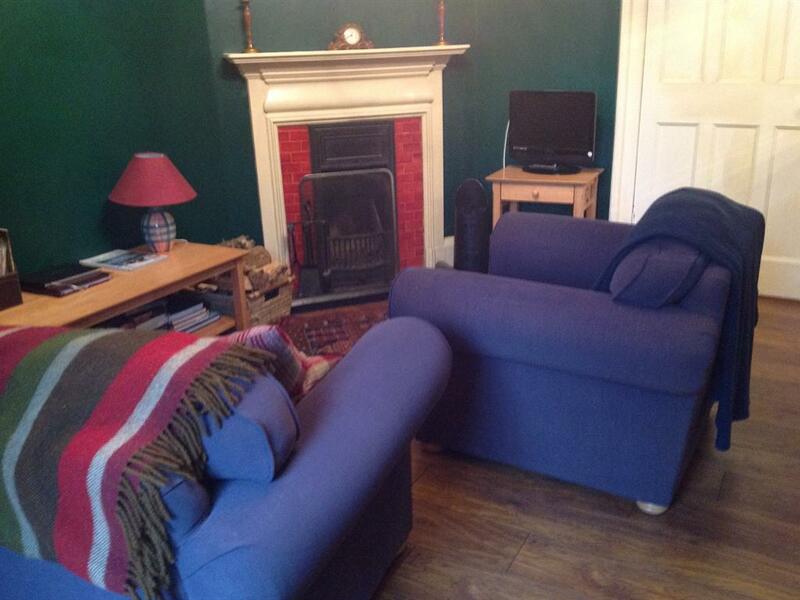 The sitting room has a double sofa bed which can provide extra accommodation at no extra cost. Breakfast is provided in a luxury hamper which guests can enjoy cooking in the comfort of their own apartment. The hamper contains home made bacon from our own pigs. Home made venison sausages from the deer in the hill and eggs from our chickens as well as our own granola and jams and marmalades. 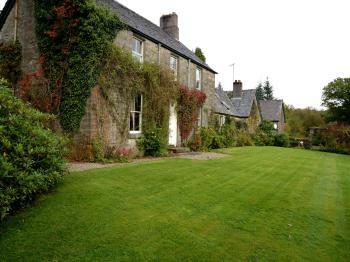 A fresh loaf of home made bread is delivered to the cottage every evening. 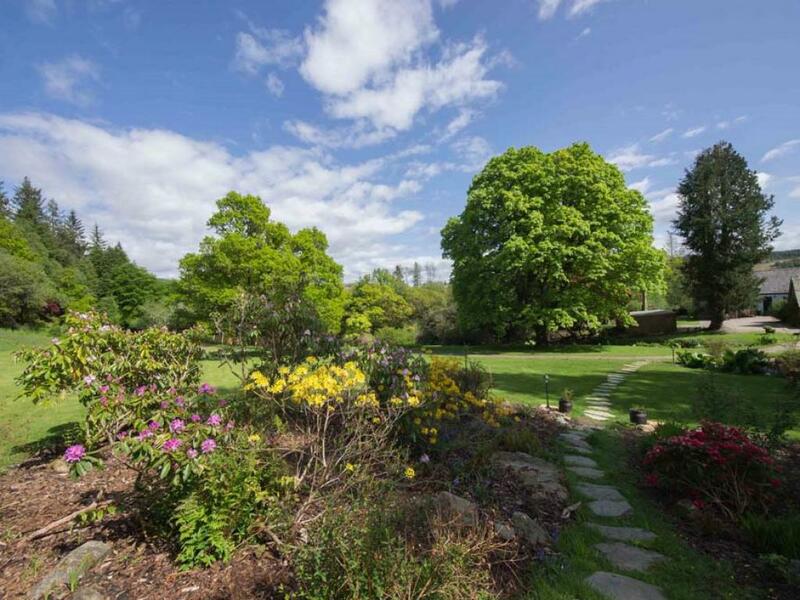 As far as possible all produce comes from the estate. 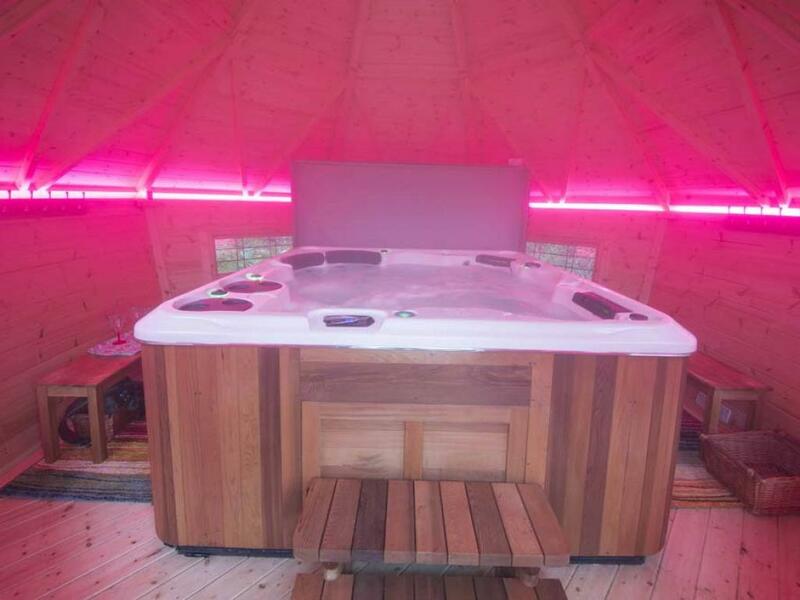 Guests also have full use of our indoor hydropool in a cabin in the garden and our BBQ cabin. Chapel Cottage is a self contained unit which used to be the church for Kirnan Estate. 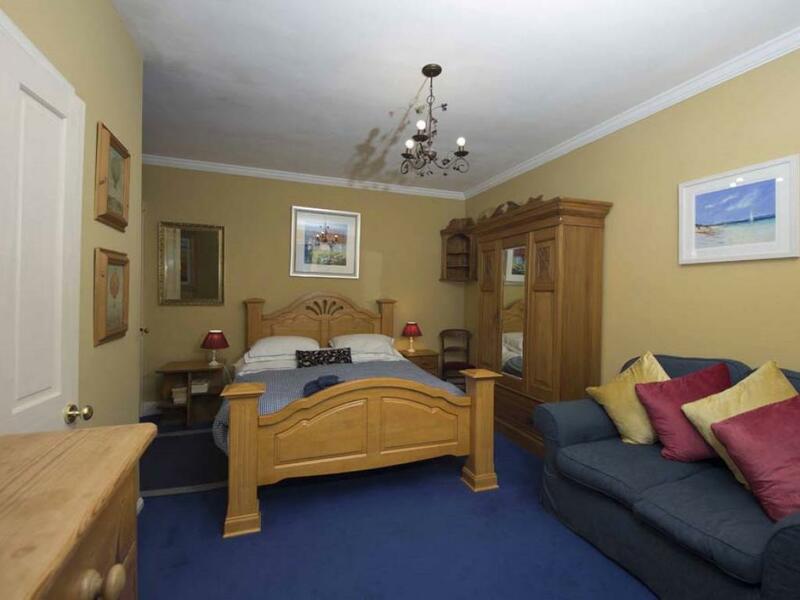 It has one large double bedroom, one twin room and one upstairs room with four single beds on two levels. 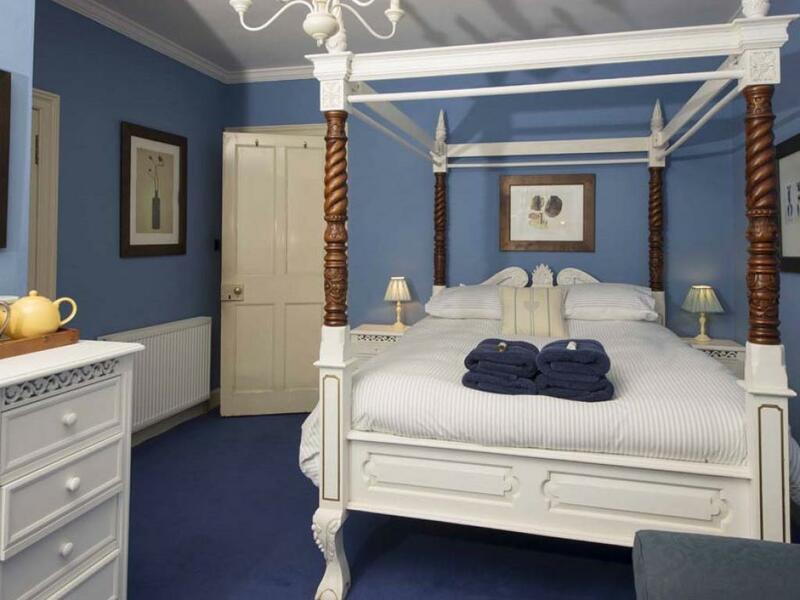 All the beds are made up with fine linen and goose down duvets. 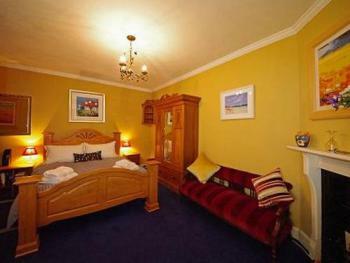 It has a large bathroom with toilet, power shower and Victorian bath downstairs. Also a separate toilet downstairs. 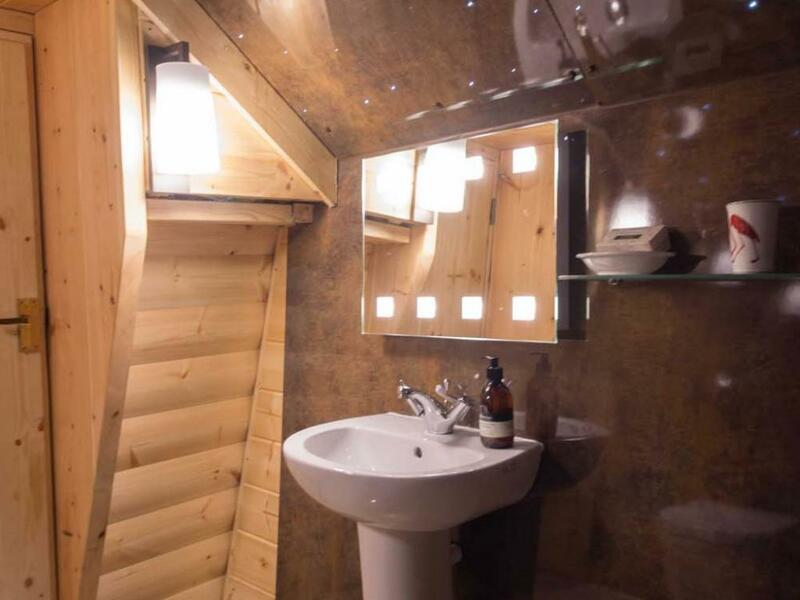 Also a small bathroom upstairs with a jaccuzzi bath, wc and hand basin. There is a large, well equipped kitchen and a large sitting room with open fire. 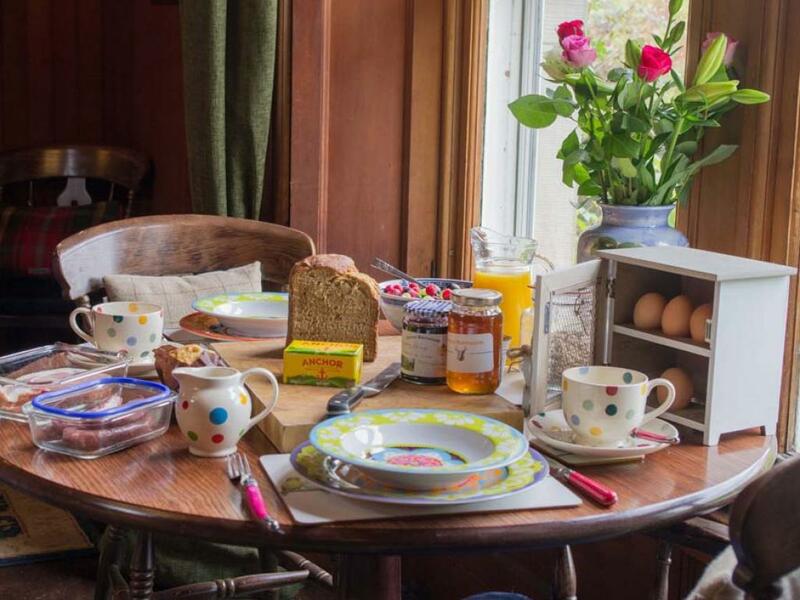 Breakfast is provided in a luxury hamper full of produce from the estate including venison sausages from deer in our forest, bacon cured on the estate from our own pigs and free range eggs from our chickens. Guests can make breakfast at their leisure in the cottage. 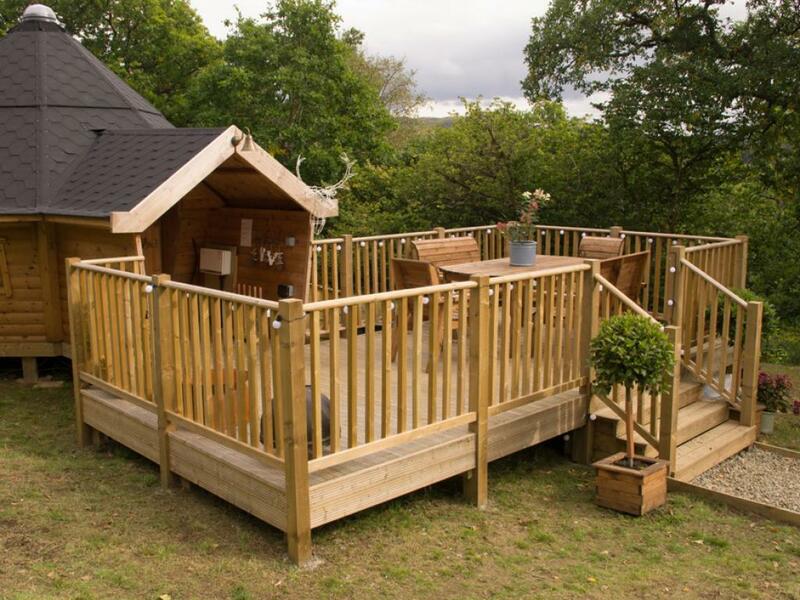 Guests also have free access to our BBQ cabin and our hydropool (hot tub) cabin in the grounds. 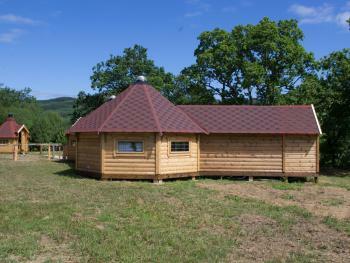 Guests also have access to six miles of private salmon and trout fishing free of charge. 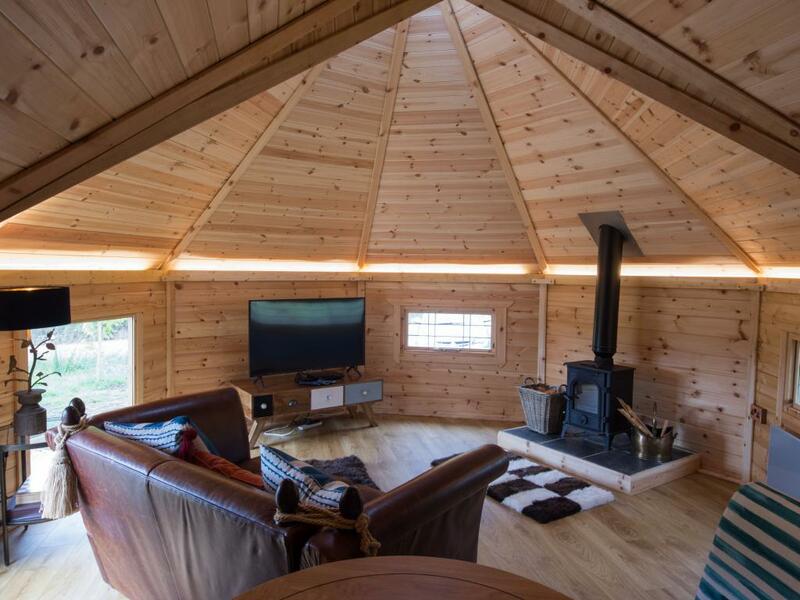 There is an honesty bar on site with fine wines, spirits and beer on tap at cost or guest are welcome to bring their own and enjoy the cosy atmosphere of the bar and wood burner. 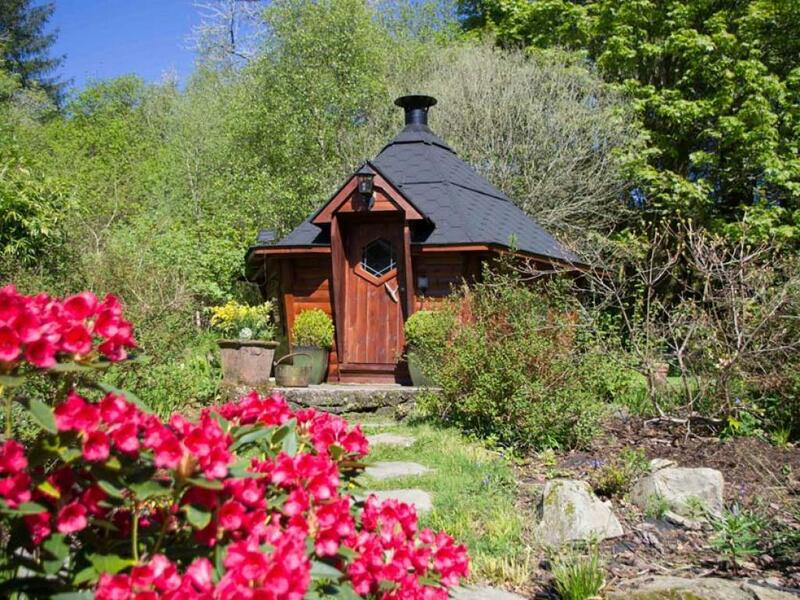 Kirnan Beg is a log cabin in its own private glade in the forest. 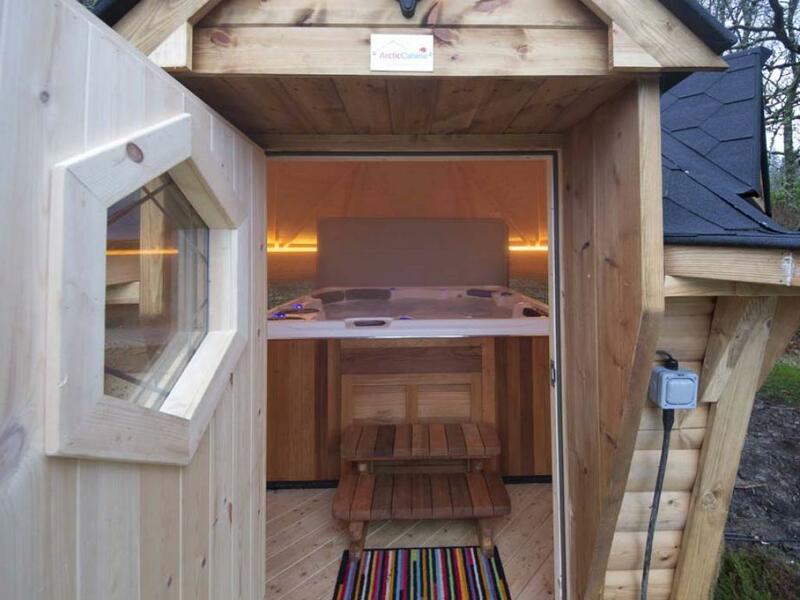 It has its own private hot tub and bbq cabin. The lodge has extensive decking with a pizza over and fire bowl. 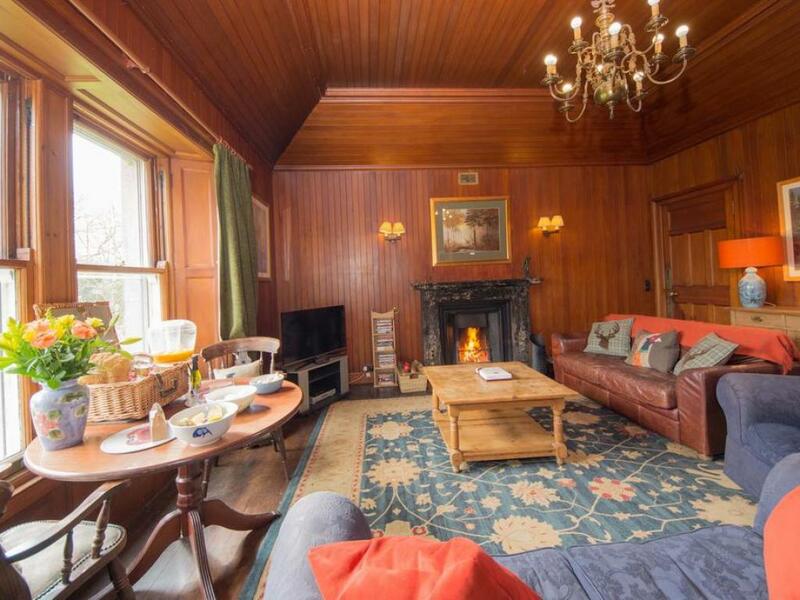 Inside the sitting area has a log burner, sofa and table and chairs. It has a flat screen TV, DVD, tea and freshly ground coffee making facilities. 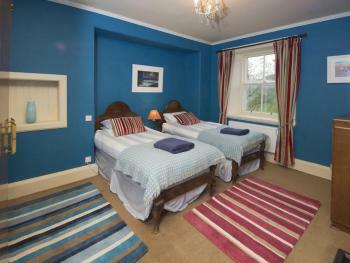 A small kitchen leads to the bedroom which has one double bed and three full sized single bunk-beds. 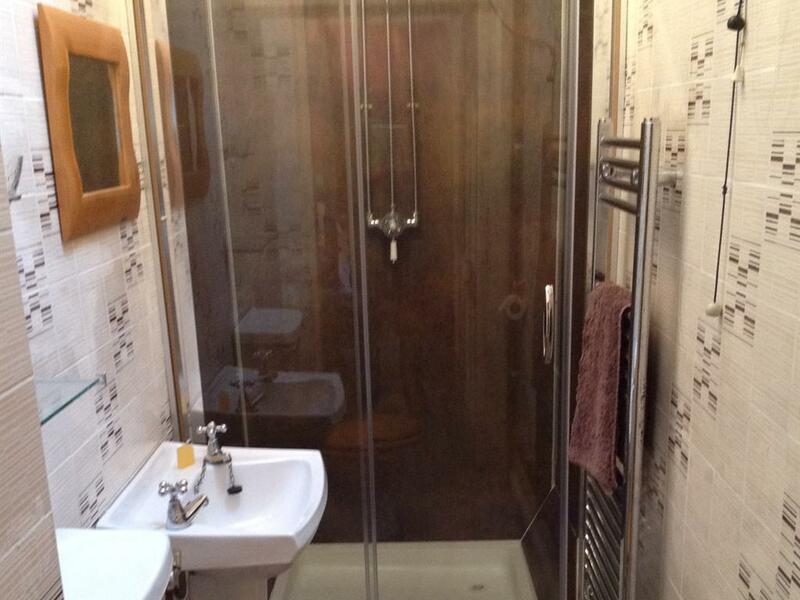 Ensuite is a wet room with underfloor heating, WC, hand basin and double power shower. Outide there are 500 acres of forest to explore with pathways cut to the lochs and through the trees. 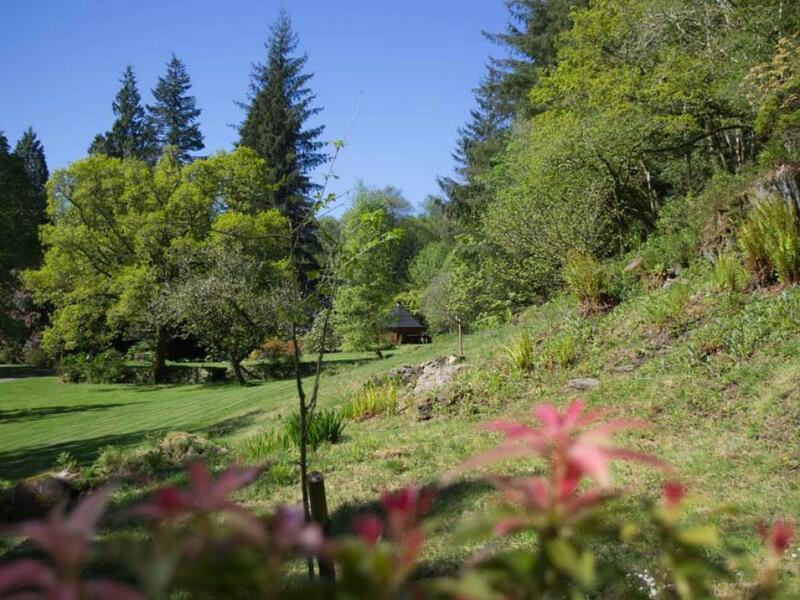 The forest if home to pine martens and red squirrels which regularly visit the lodge as well as three different species of deer. The lodge is a stone's throw away from Kirnan House and guests are welcome to use our honesty bar and come down to visit our donkeys, pygmy goats, pet sheep, pigs and ducks and chickens. 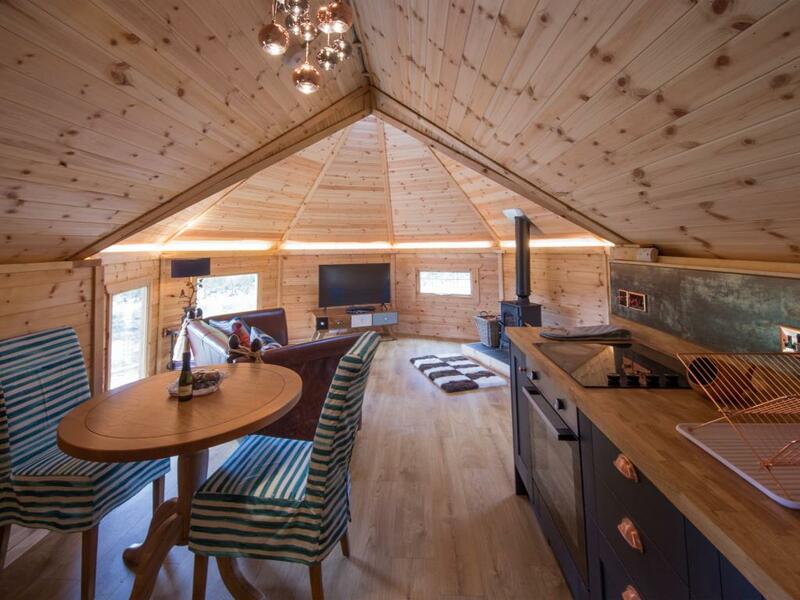 ‘ Wild Cat Lodge’ is a luxury and fun wooden lodge designed for a family, or a group of five individuals, wishing to enjoy the wilderness and peace of one of the most unspoilt and beautiful glens in Scotland, with the finest in home comforts. 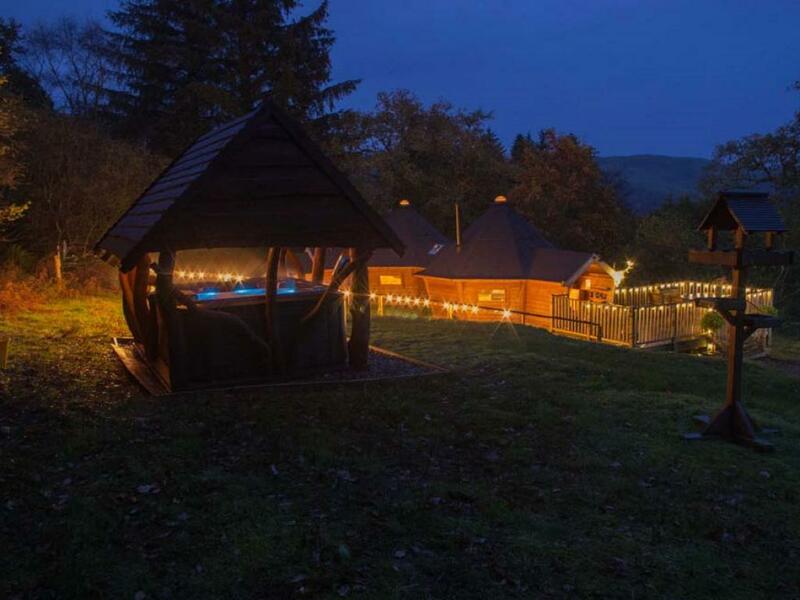 Enjoy an outdoor barbecue or sink into the private hot tub on the patio festooned with fairy lights. 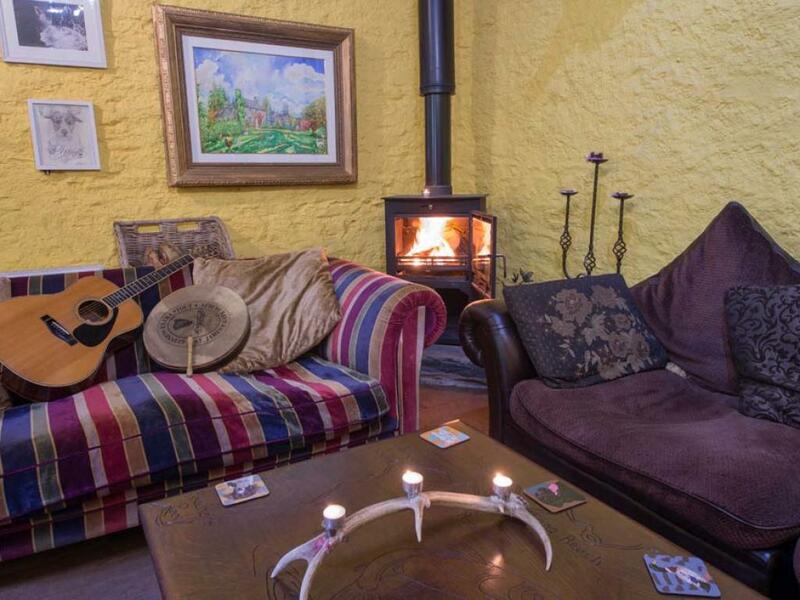 The lodge has cosy underfloor heating and a log burner in the living room, so you can enjoy the Scottish weather while knowing that a very warm welcome awaits you. 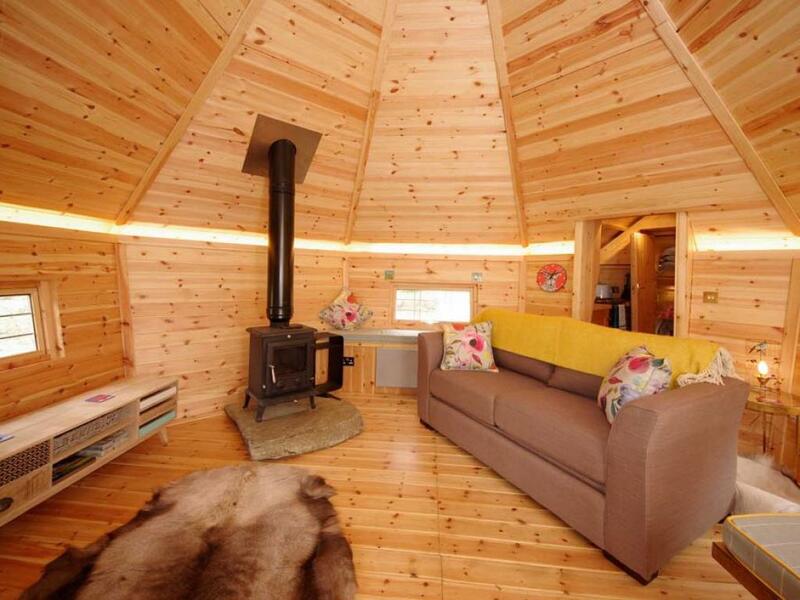 Enter into the living room, equipped with a log burner, designer leather sofa and deep-pile fur rugs. 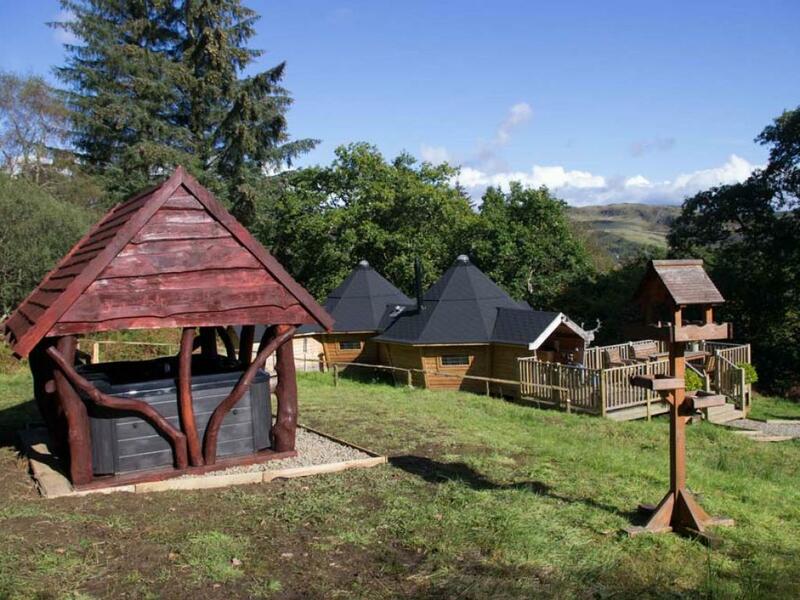 All the information about the local area is provided, along with a selection of games. 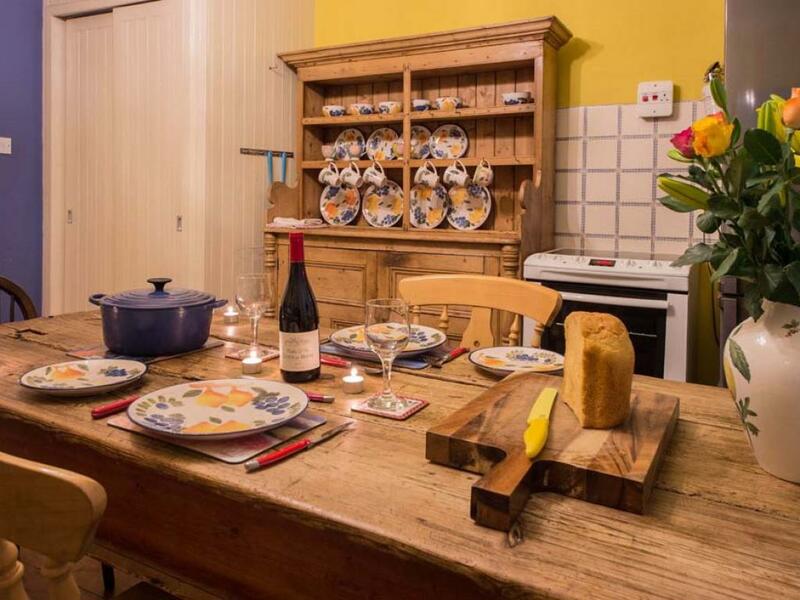 You will arrive to a welcome hamper of Kirnan’s home-made produce, from sausages to bacon, eggs, fresh bread and home-made jams. 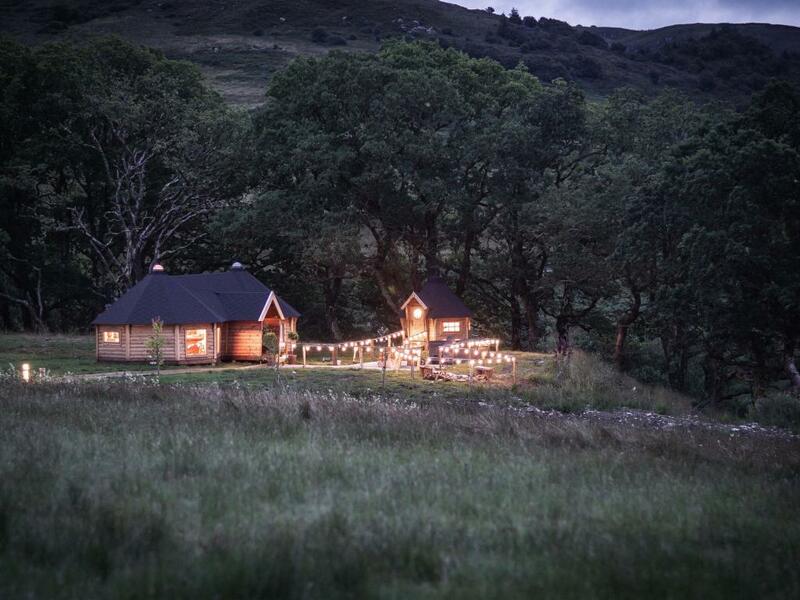 Everything at Kirnan is locally-sourced – even the outside table and benches are made from Kirnan’s own wood. 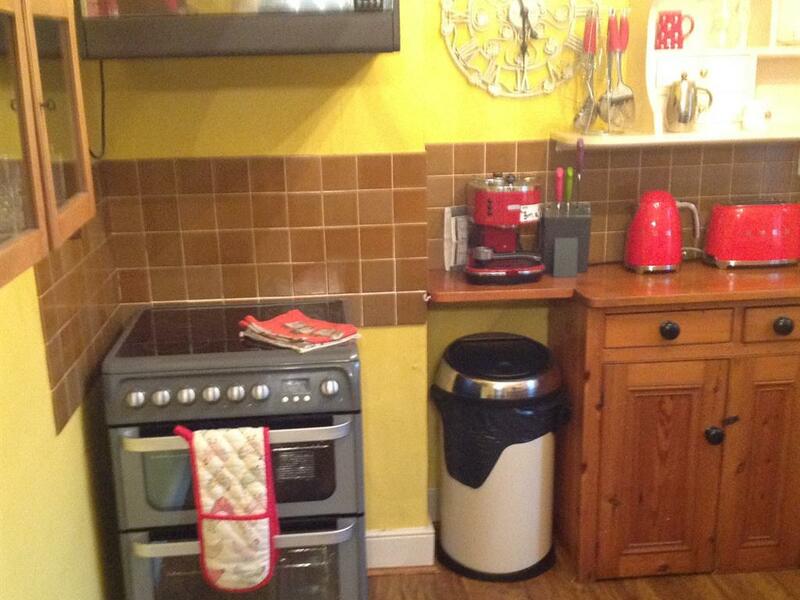 The well-equipped kitchen has a state-of-the-art oven, cooker and designer appliances. 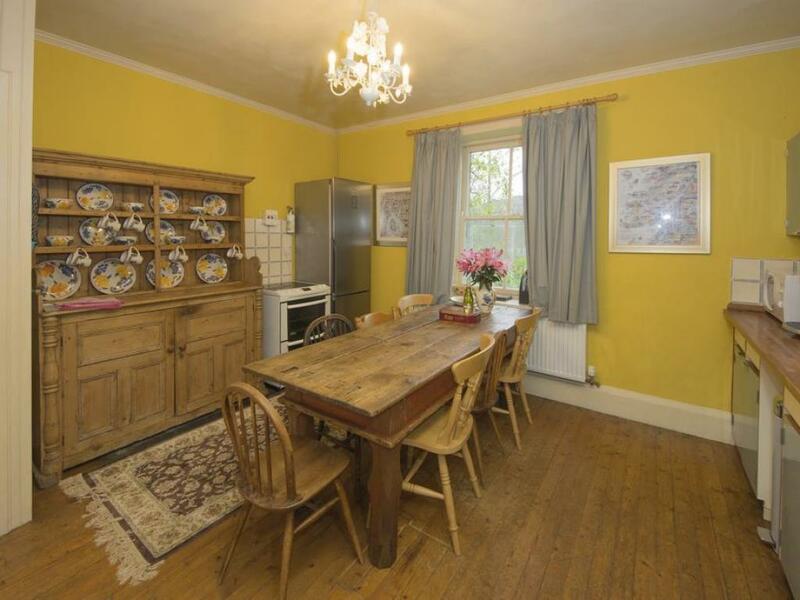 A dining table and chairs will easily accommodate five guests. 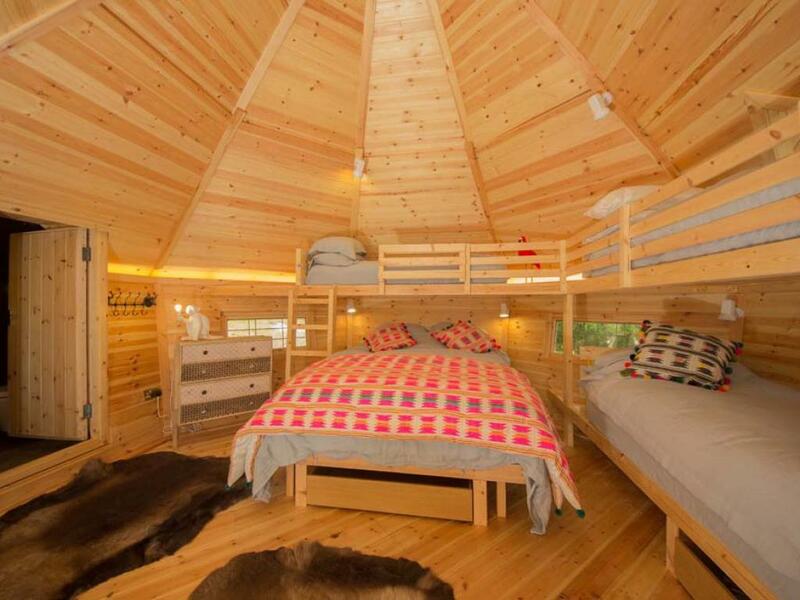 The bedroom has a king-size bed and three full-sized single bunk beds, with Skye Skin rugs on the floor and a wall-mounted TV. 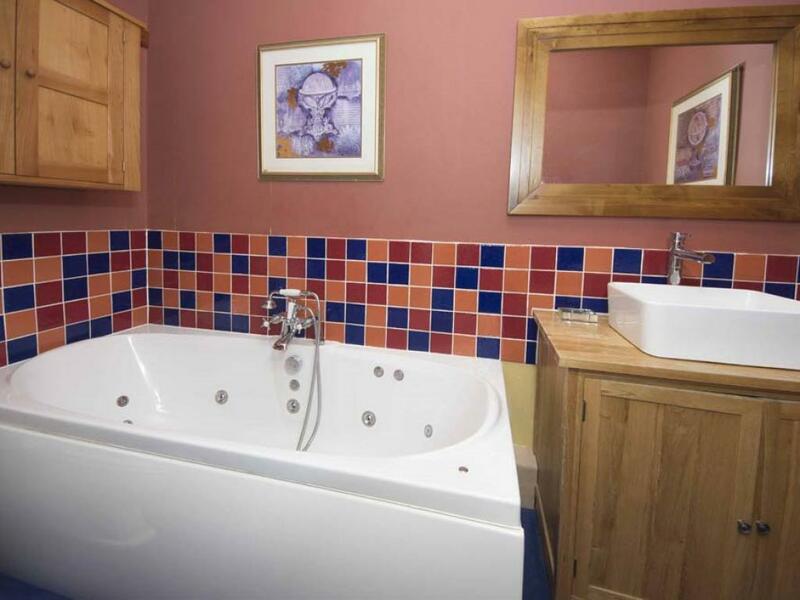 Off the bedroom is a bathroom with spacious jacuzzi bath and designer lighting display. 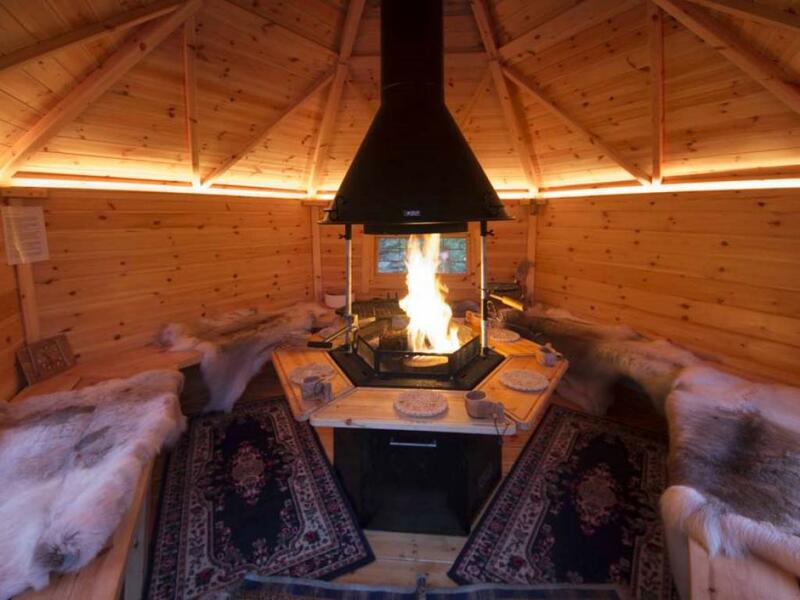 Outdoors, a constantly-heated and large hot tub awaits you, with a sunken fire pit, seating, barbecue, pizza oven and table and benches for al fresco meals. 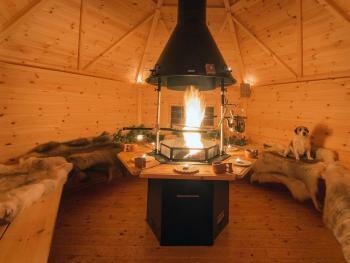 Enjoy watching the stars or toasting marshmallows over the fire pit under the fairy lights. 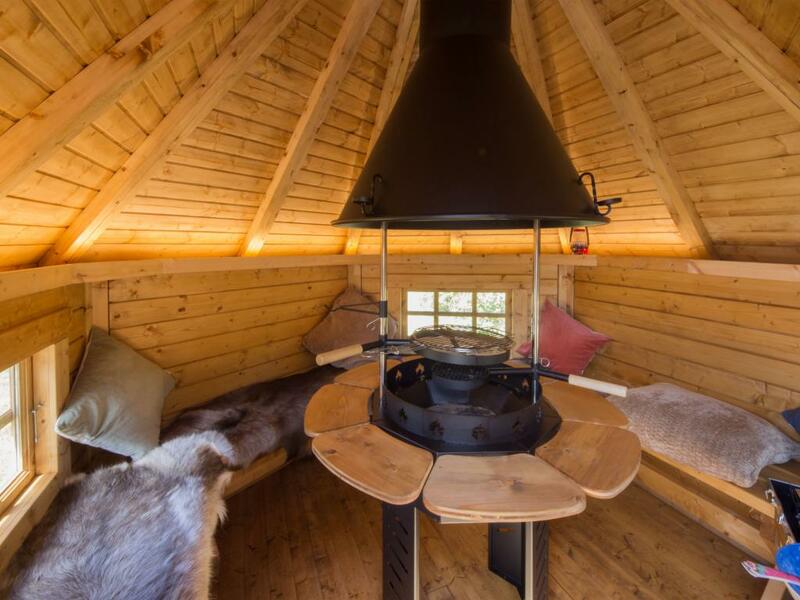 The lodge is situated within the owner’s private 500-acre estate, with a network of paths to the estate’s two lochs, one of which has a stunning lochside barbecue bothy. Kirnan also owns six miles of salmon fishing, available for guests. 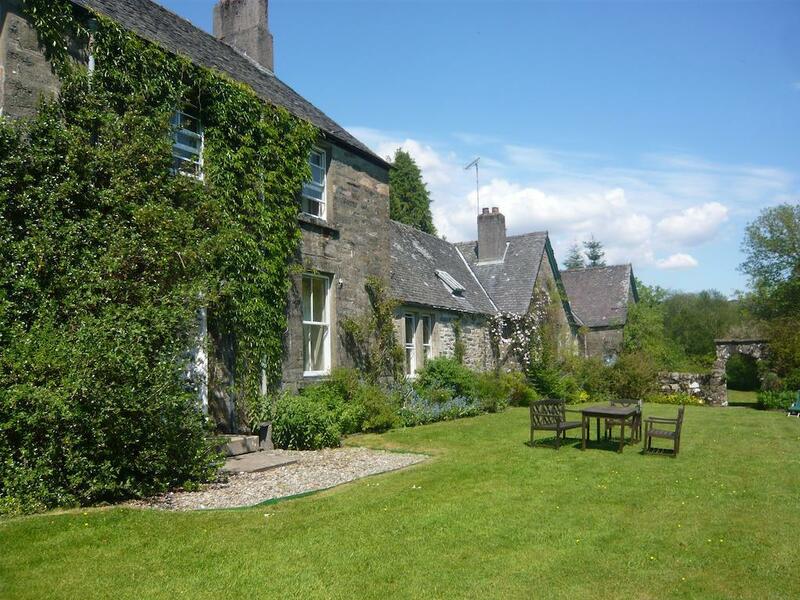 Excellent restaurants are situated nearby, and guests are just ten minutes from shops and local attractions like the Crinan Canal and Kilmartin Museum. 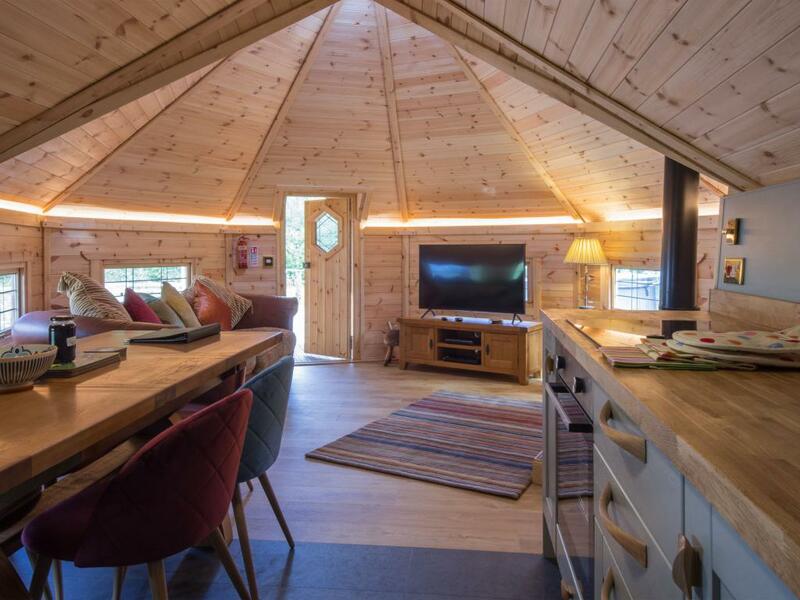 ‘Woodcock Lodge’ is a luxury wooden lodge designed for a couple or two individuals wishing to enjoy the wilderness of one of the most unspoilt and beautiful glens on the West Coast of Scotland – with the very finest and latest in home comforts. 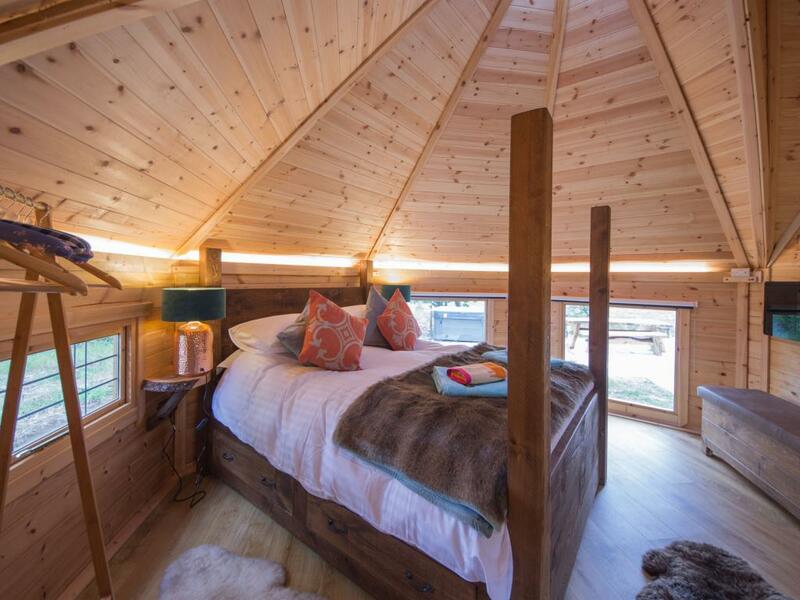 From a living flame fire in the bedroom to Skye Skin fur rugs, a curved HD TV, four poster bed and a glinting copper bath – Woodcock Lodge offers a unique level of comfort. 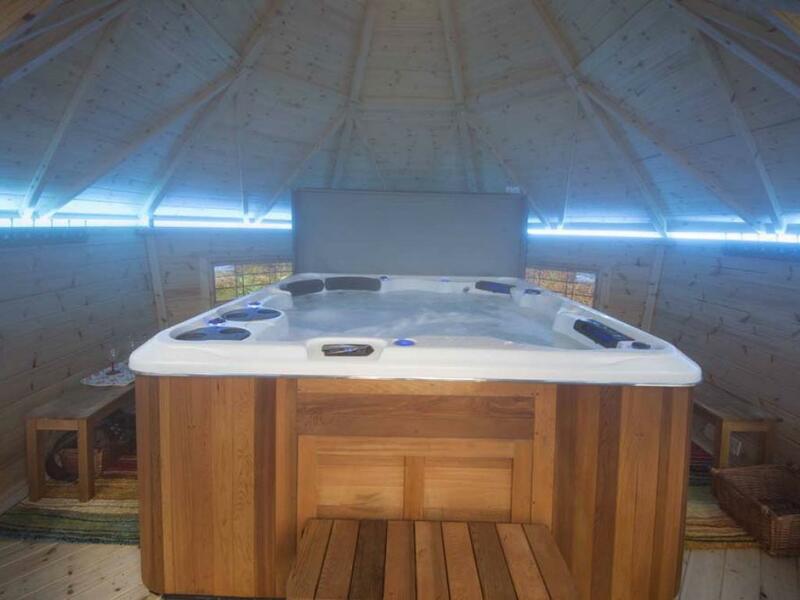 Outside, enjoy the spacious entertainment area with a private hot tub, barbecue, fire pit and pizza oven. 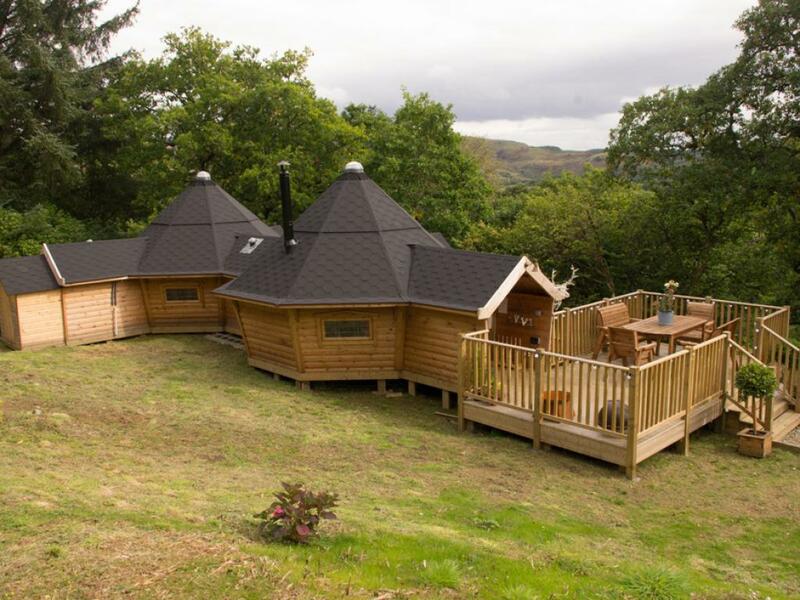 Designed quite unlike any other lodge currently available in Argyll, Woodcock Lodge offers the chance to get away from it all and walk the stunning coastline and hills, while knowing you have a luxury lodge with underfloor heating waiting for you, and the chance to sink into a copper bath full of bubbles. 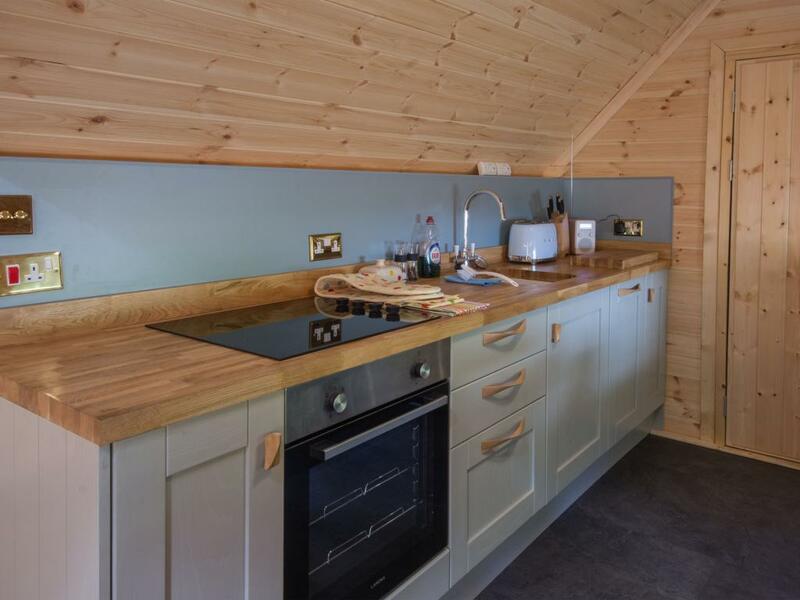 Enter through a wooden porch into the well-equipped kitchen, furnished with a state-of-the-art oven, fridge, Smeg appliances and a dining table and chairs. The cosy living room is well-equipped with a log burner, fur rugs, designer leather sofa and a widescreen curved HD TV. 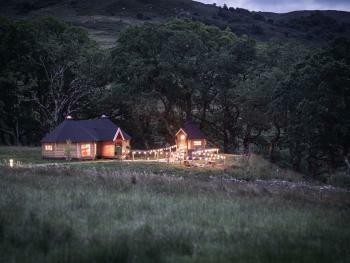 Enjoy the views of the glen or watching a film, while curled up in front of a roaring log fire. Hand-written information on everything you need to know about the local area is provided, along with a selection of books. 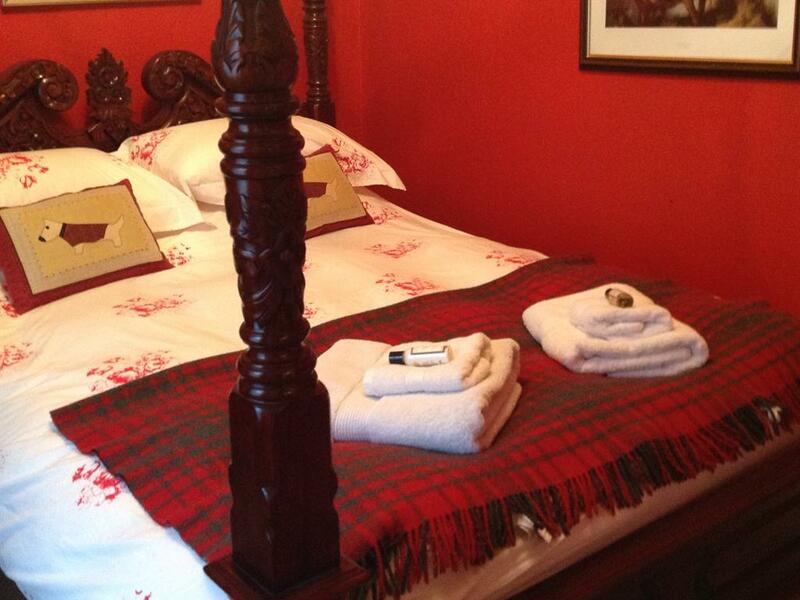 The bedroom is furnished with ultra-luxury linen sheets, the bed topped with a cosy fur throw and cushions. A deep-pile Skye Skin rug lies in front of the living flame fire, with a wall-mounted widescreen TV in the bedroom. 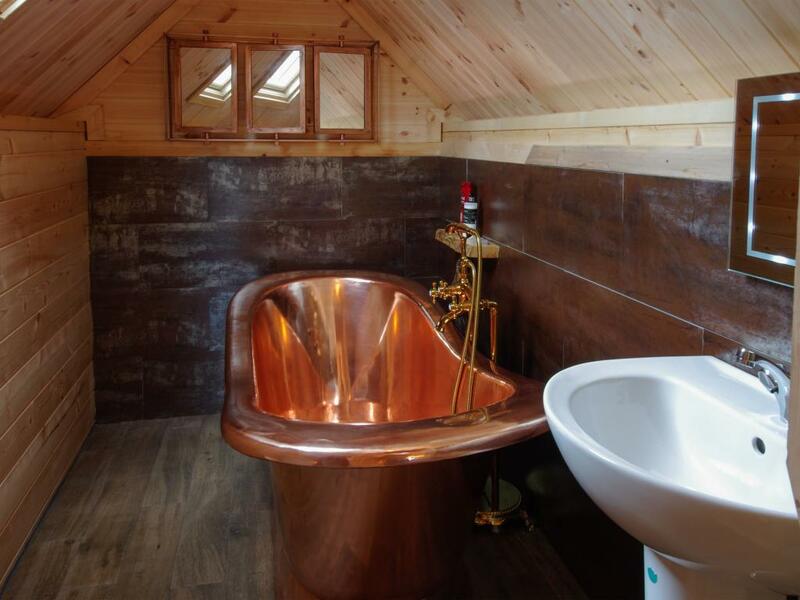 Taking pride of place in the bathroom is a magnificent copper bath, backed with unusual copper tiles, and an impressive lighting system. Another Skye Skin rug adds to the feeling of comfort and luxury. 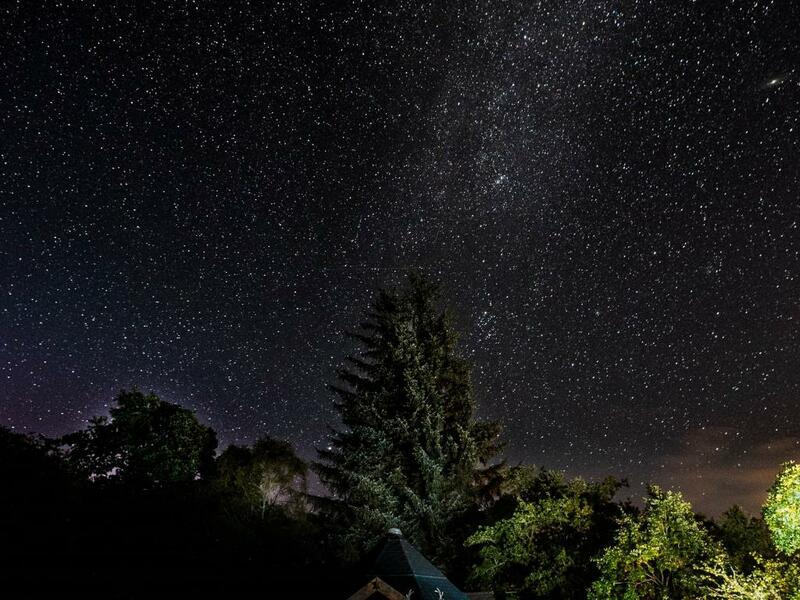 Outside enjoy a fairy-lit barbecue or pizza from the oven, sit and watch the stars, or toast marshmallows over the sunken fire pit. 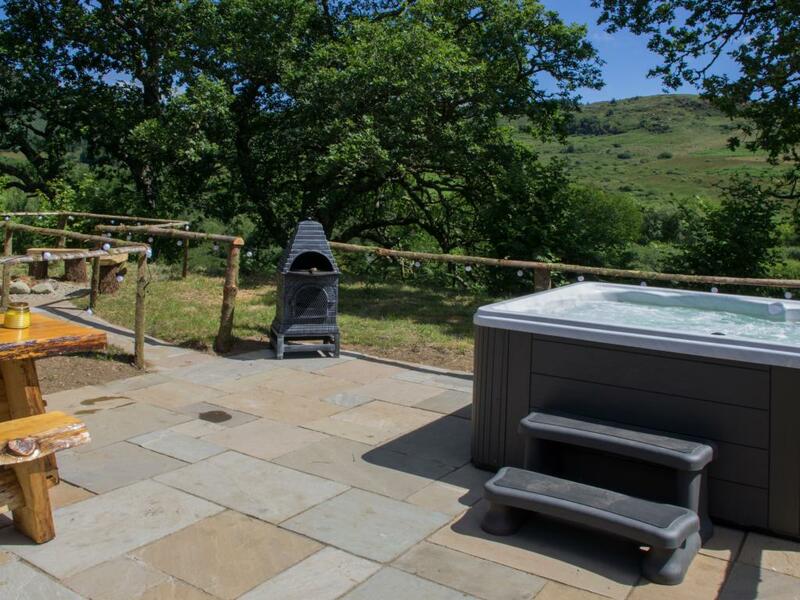 A private hot tub is constantly heated, to sooth away any aches or pains after walking the hills. 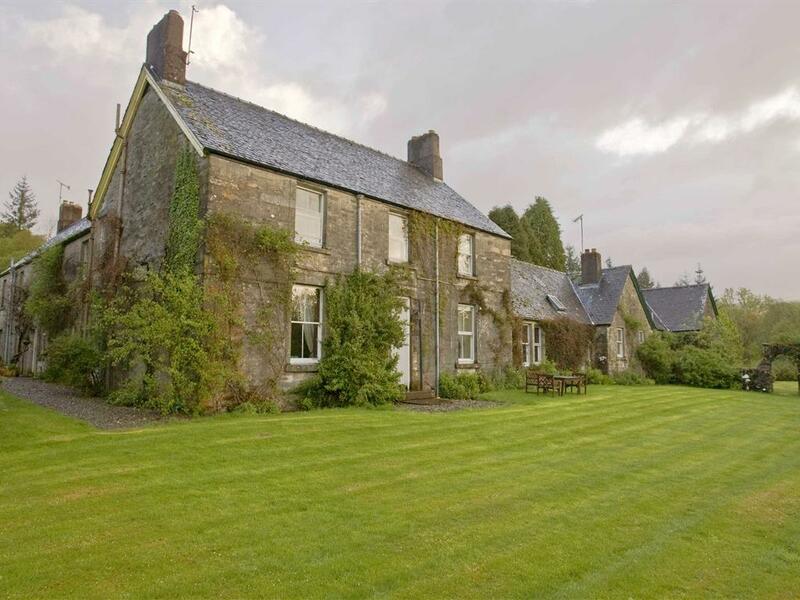 Kirnan Estate is a Victorian shooting lodge dating back to the 1890's. 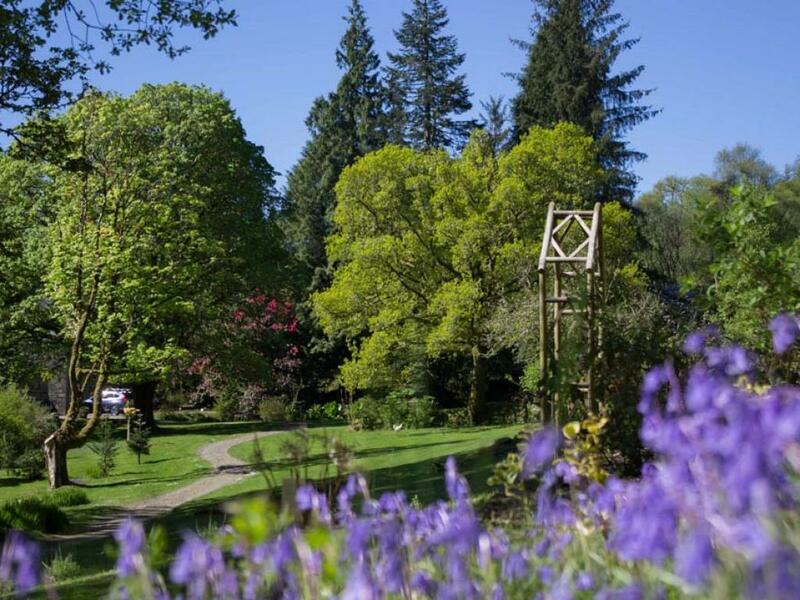 Its' 500 acres are home to three different kinds of dear, red squirrels, pine martens and birds of prey. On a more domestic front the estate has its own donkeys, pet lambs, cats and friendly dogs, pigs and pygmy goats. 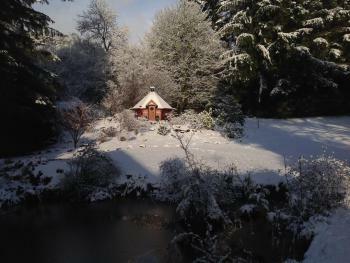 Chickens and ducks provide the eggs for breakfast. 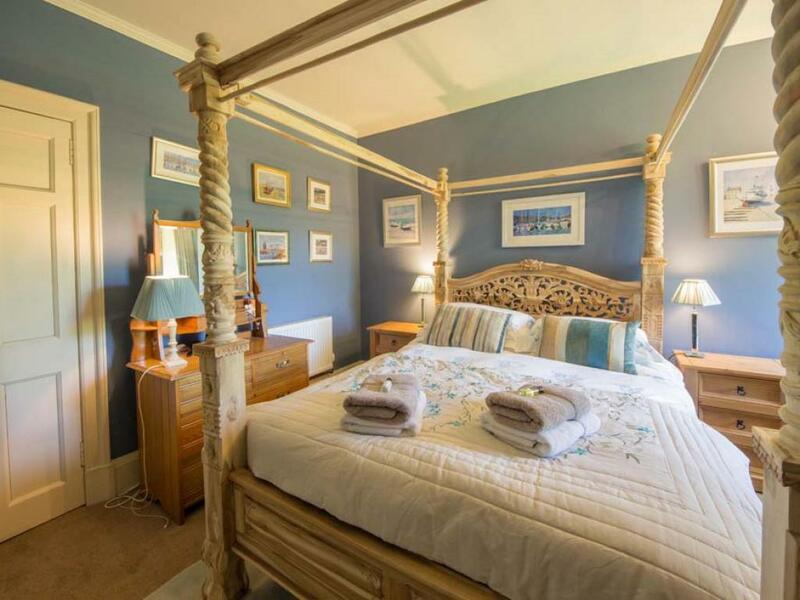 The ethos of hosts Ross and Diana Appleyard is to offer guests a warm welcome and a friendly, informal stay. 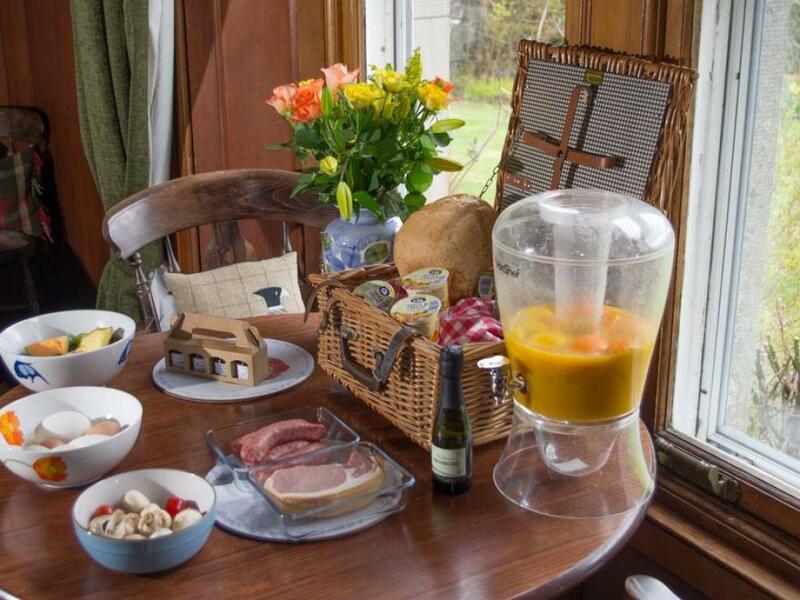 Guests will enjoy a superior Scottish breakfast with a few Kirnan twists, including freshly made bread every morning. To view a video go here - http://www.youtube.com/watch?v=kheN_Mi7DQs&feature=em-upload_owner The bedrooms are individually styled and are fitted with the finest linen. Rajah has a king-size bed and jaccuzi bath. 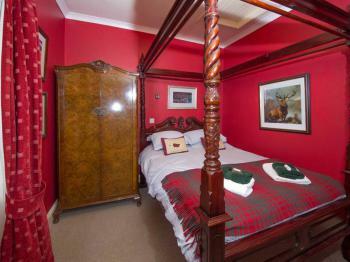 Lang reach has a four poster with rainforest shower and Balliemore has a queen size bed with rainforest shower. 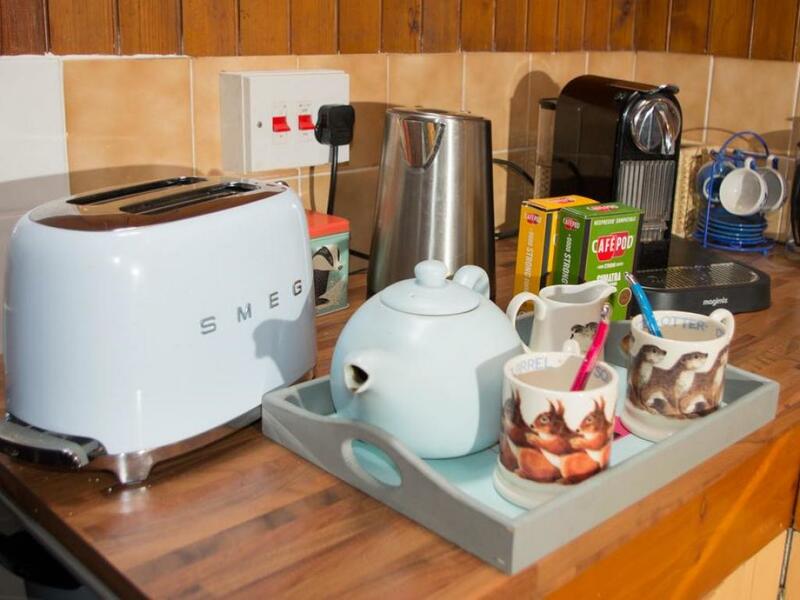 The rooms, which are named after salmon pools on our river, are all fitted with DVD players and real coffee is provided alongside the usual tea-making facilities. 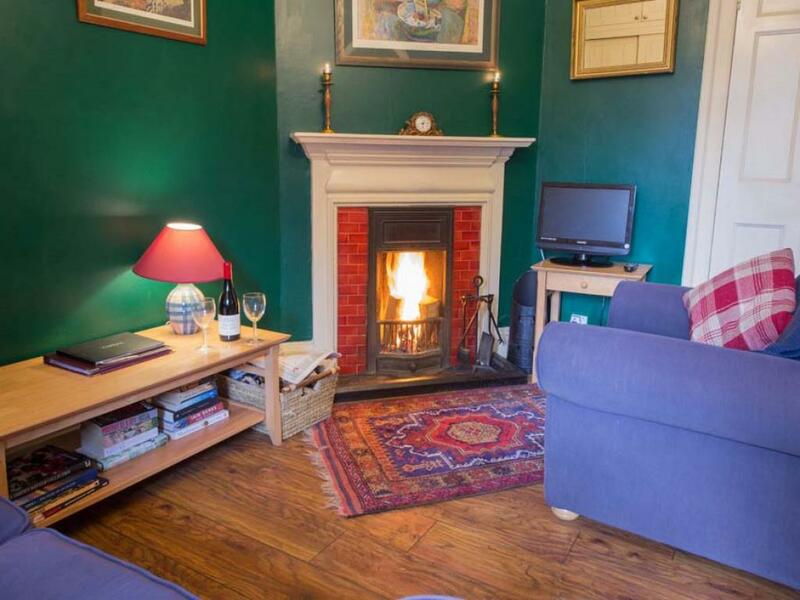 Guests also have access to a sitting room and open fire where they can read or chat before dinner or going out for the evening to one of the many fine restaurants we have in the area. 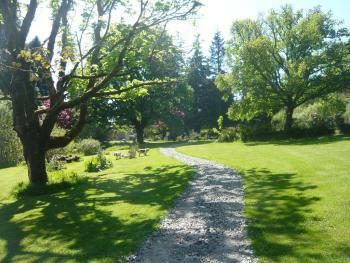 Outside the estate has 500 acres of unspoilt forest to roam in. Rides are cut through the trees making access easy. Part of the forest is temporate rainforest and is full of oaks, ash and beach trees.There are no limitations on where guests can go. 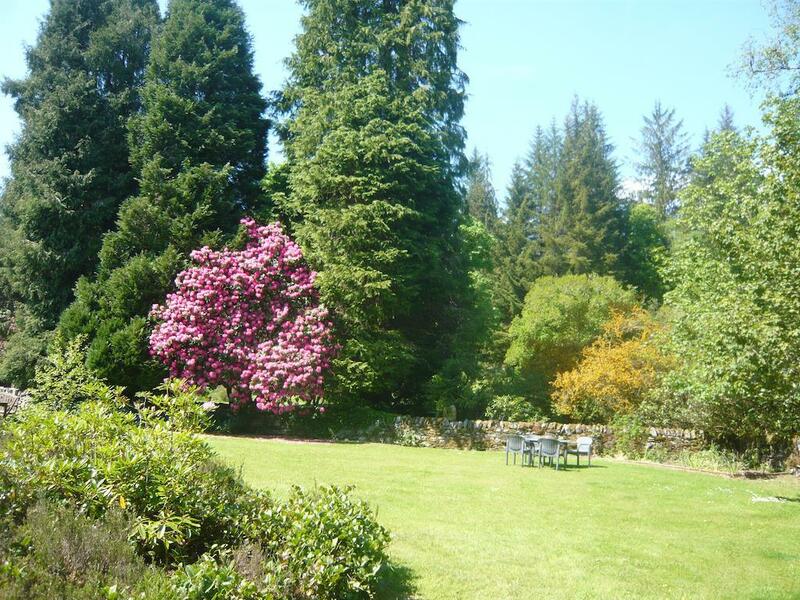 The emphasis at Kirnan is to come and enjoy its spectacular scenery, good food and friendly hospitality. Guests can also use our o indoor hydro pool hot tub in a cabin in the garden and our BBQ cabin which is furnished with reindeer skins. The address is Kirnan House, Kilmichael Glassary, Lochgilpeahd PA31 8QL. Go through Lochgilphead and turn right towards Oban. After about three miles you will see Cairnbaan on your left - Do NOT turn off onto that road, carry on round the right hand bend for another two miles. 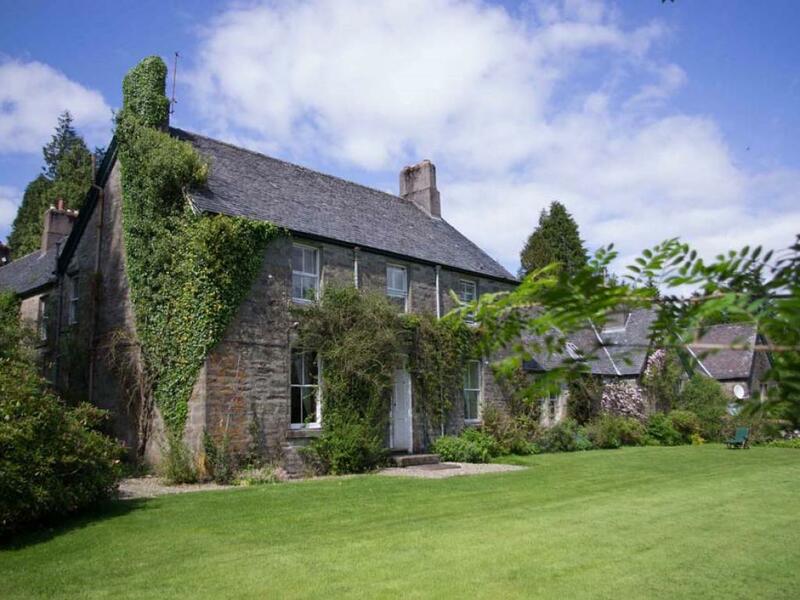 There is a turning on your right into Bridgend (signposted Horsehoe Inn) A hundred yards down that road you will see a sign saying Kilmichael Glen - turn left and after 2.1 miles. Turn left up the drive.